As every parent knows, a successful holiday depends on your kids’ have a really great time. And at the Yelloh! Village Les Tropiques, we know exactly how to make their holiday unforgettable. It’s easy when you know how: take our qualified organisers, add happy smiling children, dust thoroughly with fun and entertaining activities then mix well - welcome to the children’s clubs! In our campsite in the Pyrénées-Orientales, we like to do things properly: so each age group has its own club with entertainment and activities designed to suit. From 5 to 7 years, your little ones can discover the joys of the Kid’s Club. Between 8 and 12 years, they’ll be heading for the Juniors’ Club. And finally, for the oldest, aged 13 to 17 years, they’re going to adore getting together with their new friends at the Teens’ Club. So how’s that for a programme! 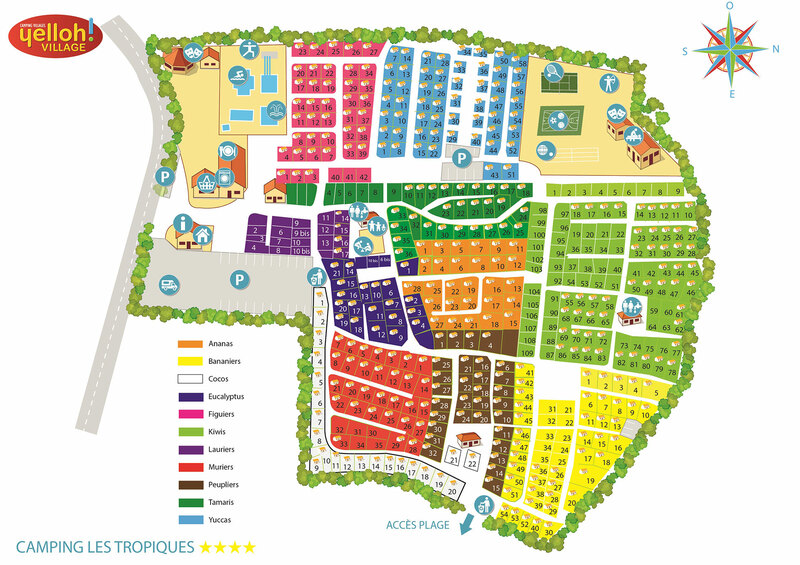 At the camping Les Tropiques, if there’s one thing we know how to do well it’s offering your kids a fabulous time. And for that nothing could be simpler: a spot of fun on one of the 2 playgrounds, choose your sport for a family showdown on the multisports ground (so what will be, football or basketball? ), a volleyball or tennis match at the end of the day for those who want to... Job done! At the end of the week, you can even come and applaud your little ones on stage during the children’s show. So if you want to take home plenty of unforgettable family memories, you’ve certainly come to the right place!